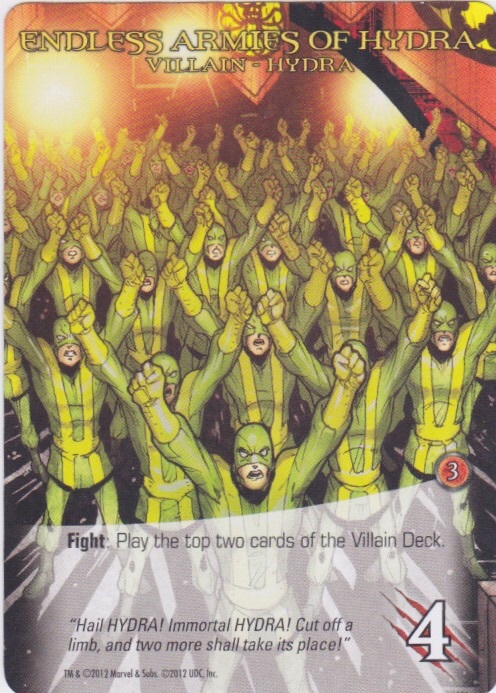 Fight: Play the top two cards of the Villain Deck. 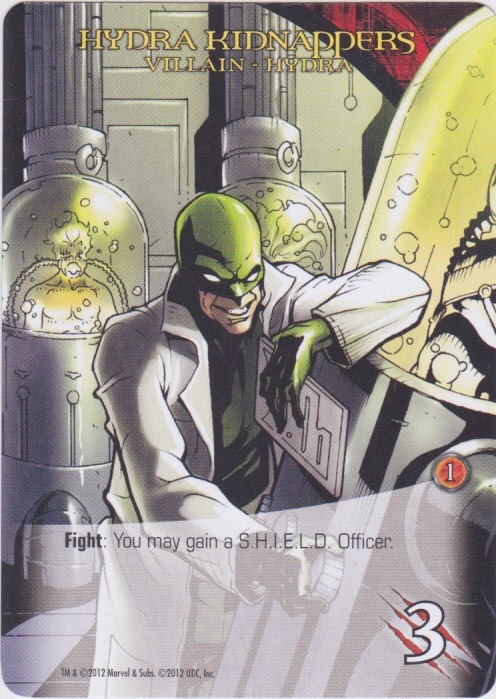 Fight: You may gain a S.H.I.E.L.D. Officer. 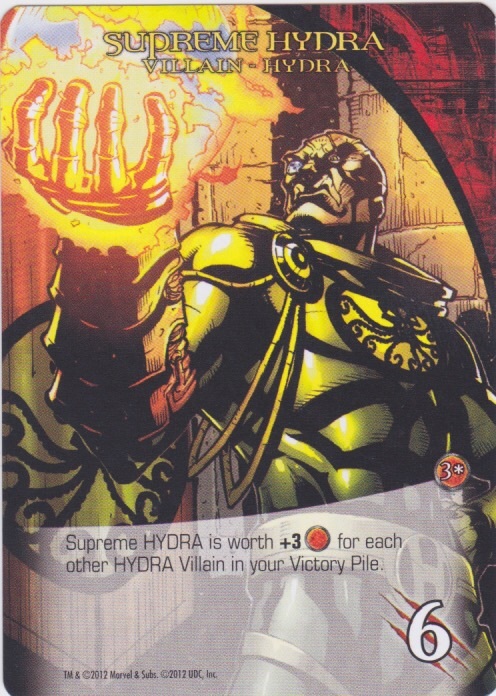 Supreme HYDRA is worth +3 Victory Points for each other HYDRA Villain in your Victory Pile. 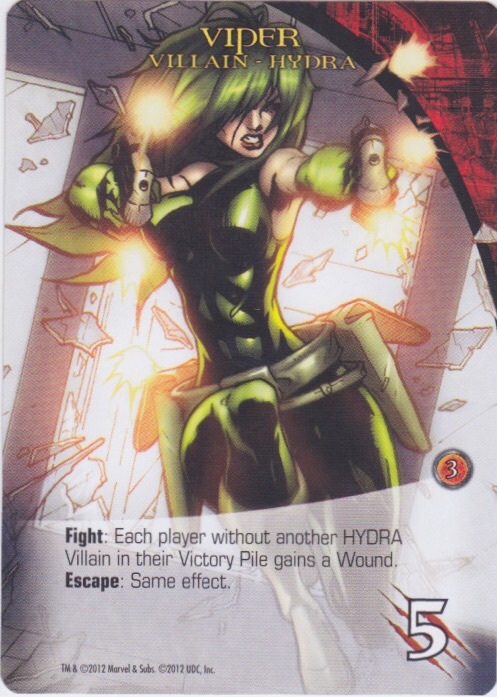 Fight: Each player without another Hydra Villain in their Victory Pile gains a Wound.